You knew there was a good reason to eat fish every week, right? 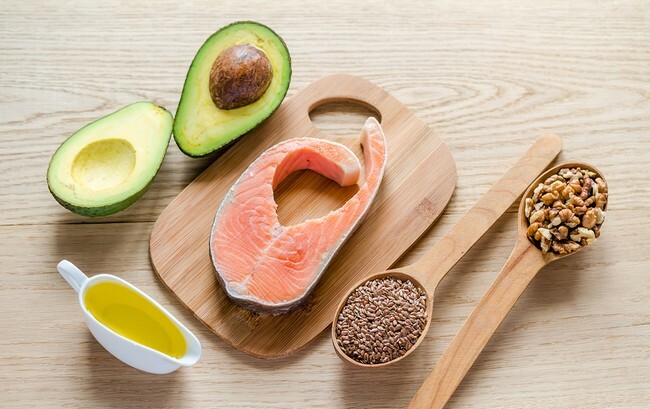 Flaxseed oil, fish, and hemp oil, and eating all those delicious oily fish provide your body with omega-3 fatty acids which not only fight inflammation, but make your body inhospitable to cancer cells. Vitamin D is also well-known for killing and fighting cancer, and if you take a few moments to look for it, you can generally find fish oil supplements combined with vitamin D.
DHA ( docosahexanoic acid) , a type of omega-3 fatty acid that is found in fish oil, has been shown to reduce the size of tumors, as well as enhance the positive effects of chemotherapy drugs while limiting their side effects. DHA is also a major component of our gray brain matter and our retina. It’s essential for normal neurological as well as cellular development. Although you may have only heard of it in terms of how it can protect your heart, there has been a large amount of research done that shows how it compliments chemotherapy drugs. Research has found that DHA acts at a molecular level and reduces the accumulation of white blood cells, oxidative stress, as well as overall inflammation. All of these processes have been linked to the growth of cancerous tumors. Wow, how can something that tastes so good be so great at knocking out cancer? It’s the powerful antioxidant resveratrol that give grapes their powerful power. Grape seeds also have huge benefits to the body. It’s recommended that you eat less seedless grapes and eat more of the seeds that are in grapes for your best health. 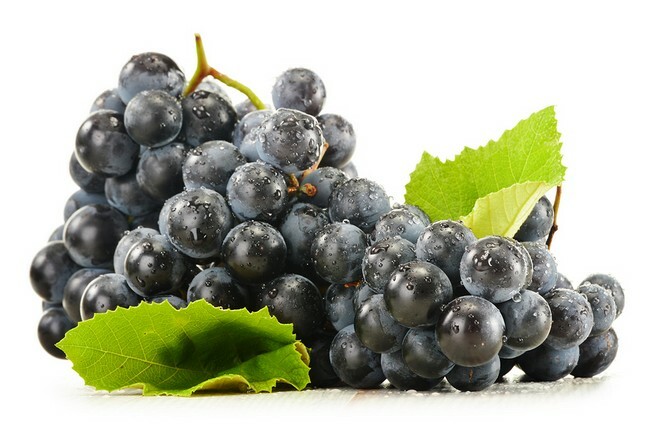 Resveratrol is a phenolic compound that helps to give red grapes their antioxidant power. Resveratrol is a known anti-mutagen and antioxidant, but it can reduce cell death that is caused by oxidants. Perhaps the most important ability in resveratrol’s repertoire is that it can inhibit the growth of CoX-2 (cyclooxygenase-2). CoX-2 is connected to cancers as well as abnormal growths in the intestines. Natural inhibitors of CoX-2, such as the resveratrol that is found in grapes, have been shown to reduce cancers and pre-cancerous growths. Although pharmaceutical companies are in a desperate search for a way to find synthetic choices that will inhibit CoX-2, it is present right now in red grapes. If you consume organic red grapes daily, or drink fresh grape juice, this will protect you against cancers and tumor growth naturally. These types of veggies include radishes, broccoli, rutabagas, cauliflower, turnips, cabbage, bok choy, Brussel sprouts, collard greens, kale, watercress, and more. 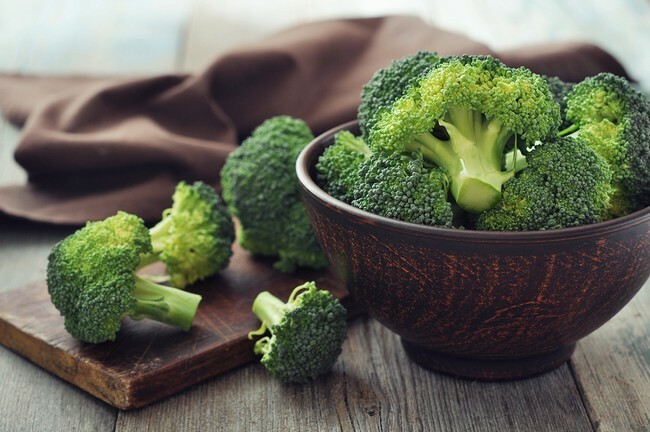 These tasty vegetables all contain sulforaphane, among other helpful compounds, which fight leukemia, breast, prostate, brain, and colorectal cancers, as well as fighting tumors. Read more about health benefits of bok choy. 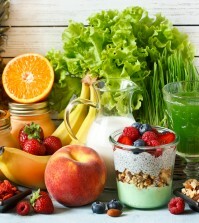 There is plenty of evidence to indicate that eating a diet high in foods that contain antioxidants, such as raw fruits and veggies, provides the body with anti-inflammatory properties. The more of these types of foods in a person’s diet the more they are associated with vast reductions in the markers of inflammation. Dark colored fruits and vegetables are all a good source of indole-3-carbinol. This is a natural compound that improves the DNA repair in the body’s cells while it blocks the growth of cancerous cells. Researchers at Ohio State University did a study that showed that anthocyanins, the substance that give cabbage their purple color, cut the growth of colon cancer cells in by 50 to 100 percent in tests done in vitro and in rats. The National Cancer Institute issued a statement that admits garlic can reduce the risk of certain types of cancer, especially cancers of the gastrointestinal tract. Well, we knew that already. Garlic is best eaten raw, chopped up a bit and then swallowed whole within 20 minutes or chopping it, then cooking it within 20 minutes so that the beneficial compound it contains, alllicin, will not be released. 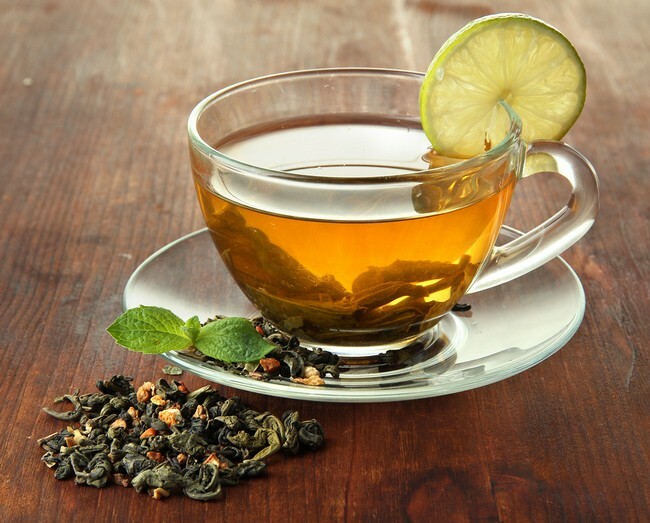 So this tasty herb does not only fights minor headaches, stuffy nose, itchy throat, and other symptoms of the cold, as we all have learned by now. 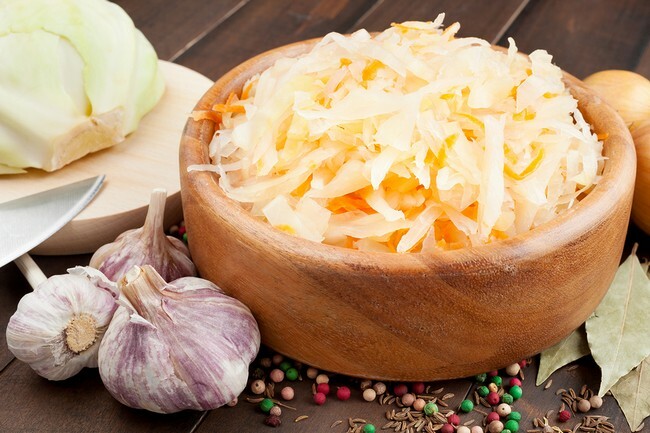 Who would have ever thought that “garlic breath” would turn out to be healthy? The compounds that cause that terrible breath are the same ones that stop substances from causing cancer to form in your body. It also helps to repair DNA while it kills off cancer cells. Garlic will also kill off bacteria, including H. pylori, the one that is thought to cause ulcers and stomach cancer. It also reduces the risk of developing colon cancer. Cook up some Chinese food tonight and don’t forget to add plenty of organic garlic! Foods that are rich in folates include avocados, apricots, pumpkin, green leafy veggies, and chicken livers. Studies have shown that folates, or even its synthetic form, folic acid, significantly reduce the risk of colon cancer. Either folate or folic acids are vital to the body in order to correctly replicate DNA. B9, or folic acid, is often added to our food supply. It costs more than natural folate and is less stable than the nature made version. Natural folates are preferable to taking synthetic versions of this vital nutrient. Why? Because man made molecules can sometimes act in strange ways within the body’s normal biochemical pathways. If you have ever heard from someone that folates cause cancer, rather than prevent cancer, they are actually referring to the synthetic version of folates, which are often called vitamin B9. Folates, which are made by nature, never cause problems. 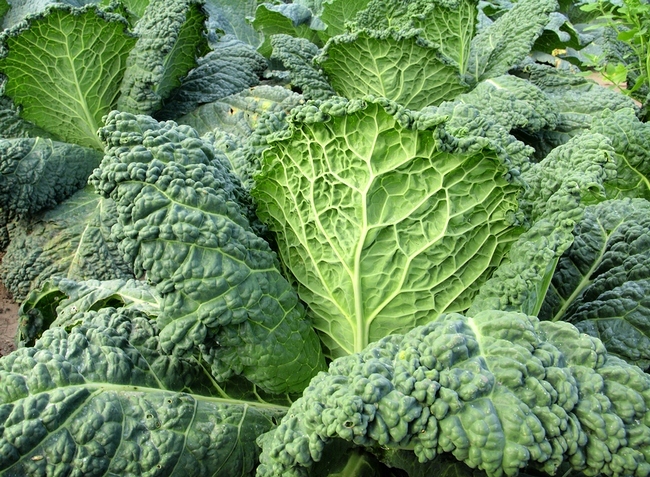 Folates are found in foliage, which means they are found in dark green leafy vegetables. The good news here is that you can take the nature made from of this vitamin, called methylfolate. It’s available in all health food stores as supplements, but, as is the case with most nutrients, it’s always best if you can eat it the way nature intended, as food, rather than a supplement. Avoid fortified foods that say “folic acid”. That’s the synthetic version. Look for foods or supplements that say “L-5 methyl-tetrahydrofolate or 5 formyltetrahydrofolate. Although it appears that black raspberries are superior when it comes to cancer fighting abilities, all berries contain phytonutrients and ellagic acid, which stop tumors from growing. Berries have more disease and cancer fighting abilities than you can imagine, and they just seem to keep multiplying the more we study them. 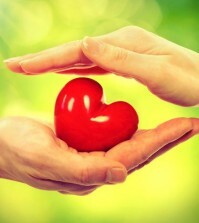 Research shows that they provide protection from heart disease, memory decline, as well as protection from cancer. Berries not only slow the growth of cancer cells, but they have been shown in studies to ramp up enzymes in the body that destroy substances that cause cancer and prevent the growth of tumors. Strawberries and black raspberries seemed to have the biggest impact when talking about colon cancer cells. However, all berries deserve a place on your plate as they all have anticancer properties. Raspberries, blackberries, blueberries, and cranberries all have powerful antioxidants and help to reduce inflammation in the body. 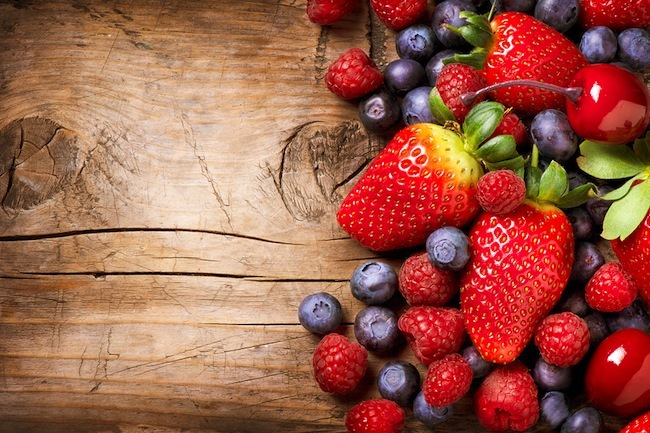 Eating berries vastly decreases the risk of developing lung cancer, stomach, mouth, and cancer of the esophagus. This is according to hundreds of clinical studies that have been conducted for both the World Cancer Research Fund and the American Institute for Cancer Research. All mushrooms improve immune function and are great sources of antioxidants. They are also full of vitamins, including C, and B, as well as calcium and other important minerals. However, shiitake mushrooms are known for fighting the development and progression of both cancer and AIDS by improving the immune system and allowing your body to fight off these diseases on its own. 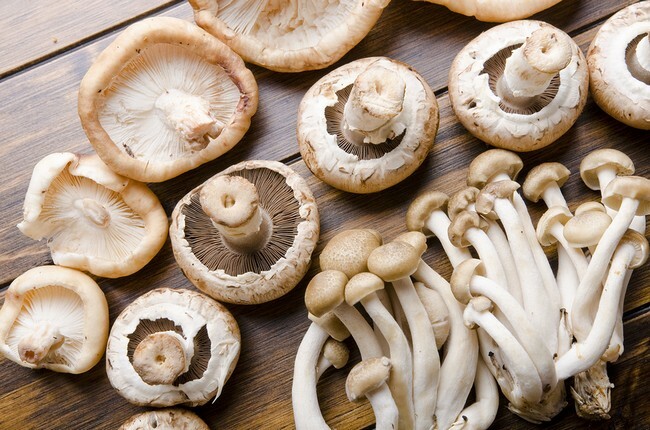 Both of these mushrooms are able to prevent heart disease by lowering cholesterol levels. They can also treat infections because they produce interferon, a group of natural proteins that stop viruses from multiplying. Both types of mushrooms contain several different compounds that contain numerous health benefits. One compound, lentinan, can stop or at least slow the growth of tumors. An activated hexose compound, known as 1.3-beat glucan, is linked to reduced activity within tumors as well as being able to lessen the terrible side effects of chemotherapy. Both types of mushrooms contain eritadenine, which lowers cholesterol levels by blocking the way that it is absorbed by the blood. You can buy either fresh or dried mushrooms in most grocery stores and in all health food locations. Eat both the stem and the top for all the health benefits. You can also buy supplements in capsule for online or at most health food stores. You can even find kits for growing these mushrooms at home for sale at several online stores. Turmeric contains a compound called curcumin, which can stop the spread of cancer. It also has powerful anti-inflammatories and has anti-oxidative effects. You can usually find turmeric root at most farmers markets. It can be used to spice up just about any food you like and have absolutely no side effects. 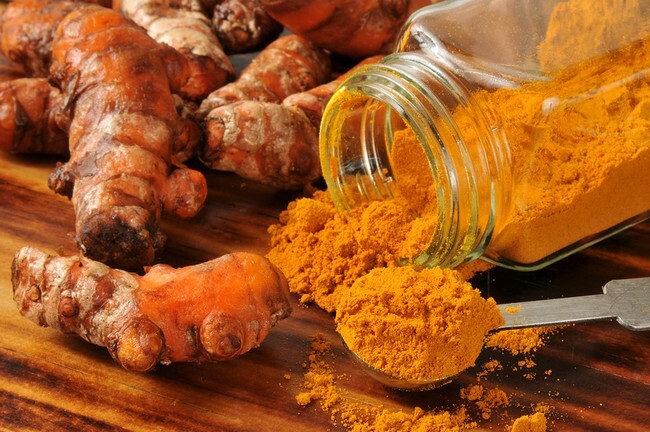 A summarized review of the more than 700 studies done with turmeric showed that this root appears to outperform many known pharmaceutical drugs. 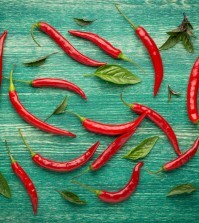 In India, most people eat between 2 to 2.5 grams of this spice every day. That would be equal to about 4 to 6 capsule supplements. India has some of the lowest incidences of prostate, colon, lung, and breast cancer in the world. Many researchers believe that this is due to the amount of turmeric that is consumed in that country on a regular basis. Don’t buy conventional curry powder, however. It has very, very little actual turmeric in it. Always buy organic turmeric either fresh from your health food store or farmers market, or buy supplements if you don’t happen to be a fan of the flavor. Wow, who would have thought that those lovely little tomatoes in salad could fight cancer? It’s the carotenoids and lycopene that are found in tomatoes that do most of the dirty work when it comes to fighting cancer. Tomatoes are especially helpful in fighting against cancer of the pancreas and prostate. To get the most benefit, you need to consume seven to ten servings every week. That’s not as hard as it sounds. A few tomatoes in your salad, perhaps one in your green smoothie, some spaghetti and lasagna for dinner, and some fresh tomato juice in the afternoon and you’ve got yourself set up for the week. 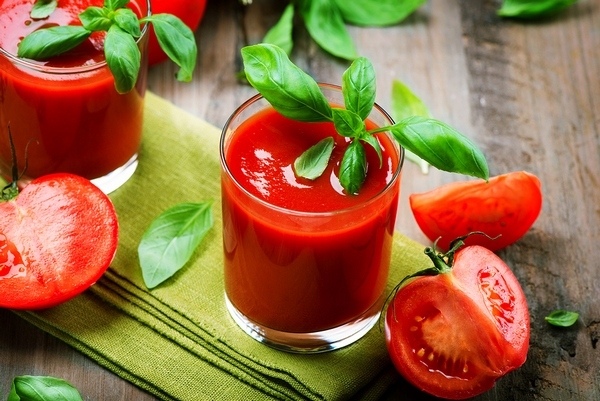 For the best health, always make your own pasta sauce and juice fresh from organic tomatoes. The regular consumption of tomatoes is consistently associated with a lower risk of heart disease as well as several types of cancer. Lycopene, which is also found in watermelons, is a strong antioxidant as well as a good anti-inflammatory. Both of these compounds are associated with lower risks of certain cancers. A balanced diet that sits a bit on the alkaline side, along with as few toxins in the body as possible, makes your body a not so nice place for cancer to start or to live. Remember that sugar, processed foods, and refined foods, as well as smoked and highly salty foods, feed cancer. Raw, organic vegetables and fruit starve cancer. Commit to doing regular detox programs, eating a raw, healthy diet, and eat plenty of foods with anti-cancer compounds, like the ones listed above, and you can live a long, healthy life free from cancer.